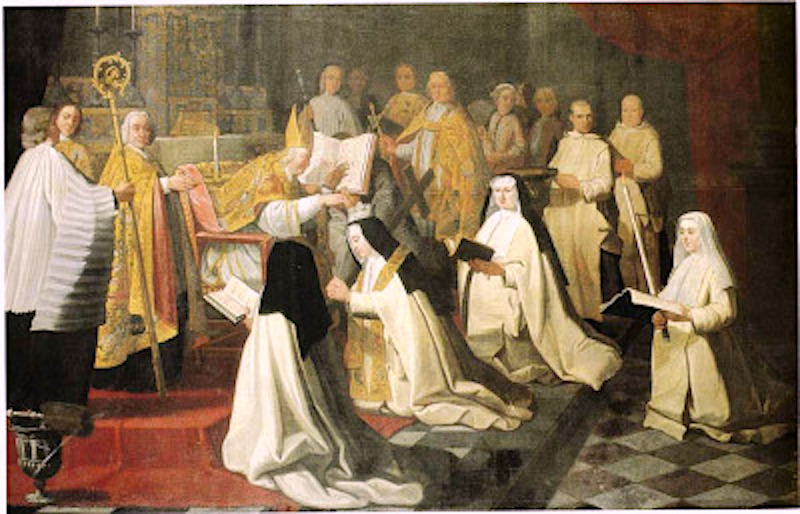 "The Carthusian nuns have retained the privilege of the consecration of virgins, which they have inherited from the nuns of Prébayon. The consecration, which is given four years after the vows are taken, can only be conferred by the diocesan. The rite differs but slightly from that given in the "Pontifical". 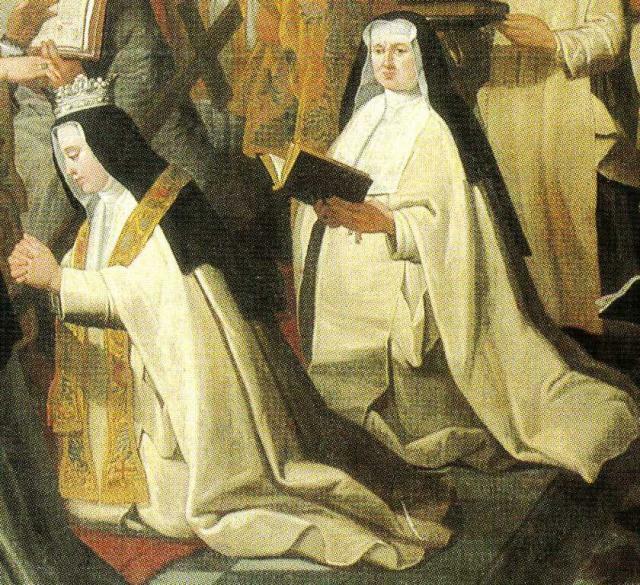 The nun is invested with a crown, ring, stole and maniple, the last being worn on the right arm. 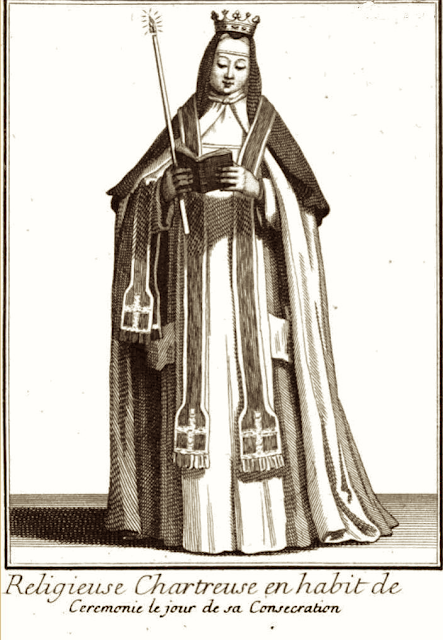 These ornaments the nun only wears again on the day of her monastic jubilee, and after her death on her bier. It is a consecrated nun who sings the Epistle at the conventual Mass, though without wearing the maniple." The Church's tradition is indeed a rich and multi-faceted thing and we should take time to appreciate it.